The travel industry has seen a distinct split in the way services are packaged and marketed to different consumers. On the one hand, economy travel has become cramped and utilitarian; however prices have gone down, opening up greater possibilities for the average traveler. On the other hand, luxury travel has gone the other way entirely, with airlines competing to offer the most lavish, expensive and eye-catching experiences. PSFK researchers took a closer look at the most effective ways to market modern travel experiences. Travel agencies and other businesses are adapting their marketing and services to meet the needs of today’s traveler. At the root of this adaptation are the new technologies being leveraged by brands to better understand travelers’ wants and needs. Los Angeles-based meal kit delivery company Chef’d partnered with the Cayman Islands Department of Tourism to let U.S. travelers order meal kits containing ingredients of Cayman Island recipes. The CIDT launched a new marketing campaign targeting young professional clientele who are cooking at home and opening to different kinds of cuisines, and hopes to leverage Chef’d’s west coast footholds to help it reach more travelers from large markets such as California. In an effort to encourage more vacations, JetBlue is selling souvenir-like office decorations for workaholics who never leave the office. 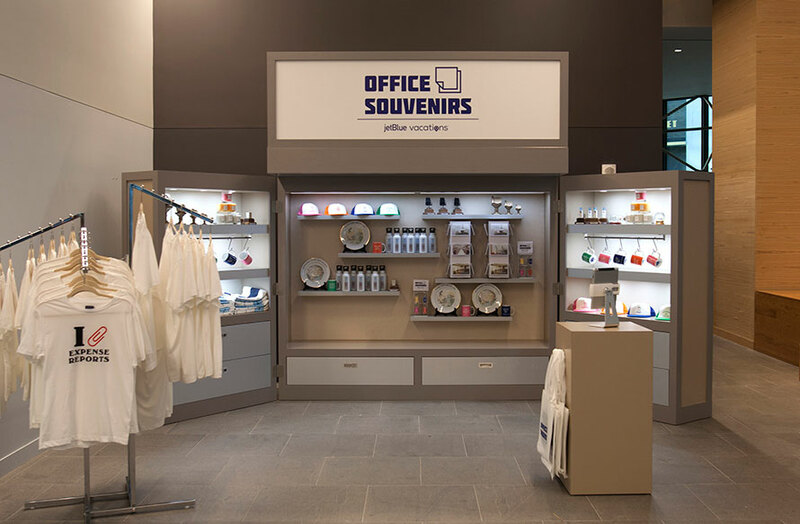 JetBlue collaborated with MullenLowe New York to make these humorous office souvenirs, which include a copy machine snow globe, a desk chair statuette and a bagel-scented candle. All in good fun, the products are now available on JetBlue’s shopping website. 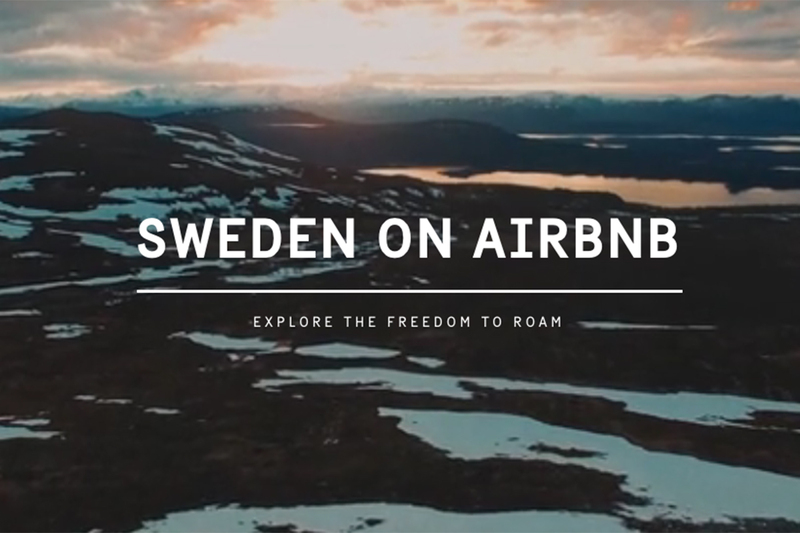 In collaboration with Airbnb, Sweden created a listing for its entire country to promote the country’s “freedom to roam” principle, or “allemansrätten,” which gives people the right to freely explore all public spaces across the country. The idea, which is protected by Swedish law, is that people don’t need to book accommodation to visit the country—they can just grab a tent and freely access any of the publicly owned land. Austin-based hybrid Departure Lounge blurs the lines between travel agency, coffee shop and wine bar. As an interactive social space unimpeded by desks, computers and blocking mechanisms, Departure Lounge provides customers with a comfortable place for agent interaction and has ample space to host travel-related events. For an aspiring traveler, the biggest hurdle is overcoming the initial leap that turns an idea into a concrete booked plan. New technologies are helping to lower this bar, by making it easier for travelers to visualize a trip before it is taken. For more on this topic, check out our recent research paper Transforming The Travel Planning & Booking Experience.